We looked at the top 1 Ice Cream Makers and dug through the reviews from 8 of the most popular review sites including New York Times Wirecutter, Consumer Search, Family Living Today, Top Best 10 Reviews, Engadget, The Spruce Eats, Sweet Ice Cream Love, Groom and Style and more. Through this analysis, we've determined the best Ice Cream Maker you should buy. If you're looking for a high-capacity ice cream maker, the Nostalgia ICMP400BLUE Ice Cream Maker is the one to choose. It can make up to 4 quarts of tasty ice cream and is easy to clean once finished. You won't have the convenience of a compressor with this model, though. So, you'll have to freeze the mixing bowl and add salt and ice to get your mixture to the right temperature. 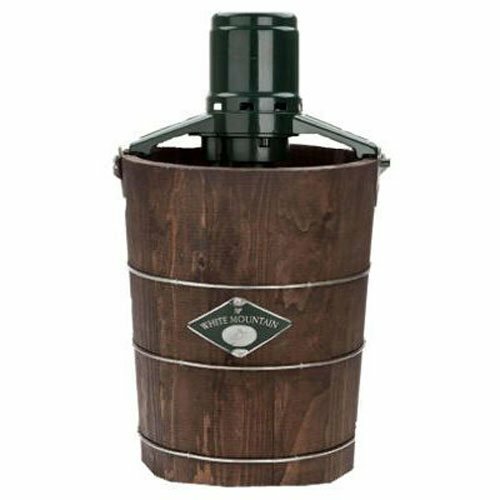 In our analysis of 86 expert reviews, the Nostalgia Nostalgia Ice Cream Maker placed 3rd when we looked at the top 9 products in the category. For the full ranking, see below. The Nostalgia ICMP400 generates good results for a very low price. It requires ice and salt to freeze the mixture. It has an electric motor, so there's no hand-cranking required, and it uses ice and rock salt rather than a gel-filled, pre-frozen canister. This machine features a powerful electric motor and does all the churning, so you don’t have to. It also has an easy-to-clean plastic bucket to make clean up extremely easy as well. 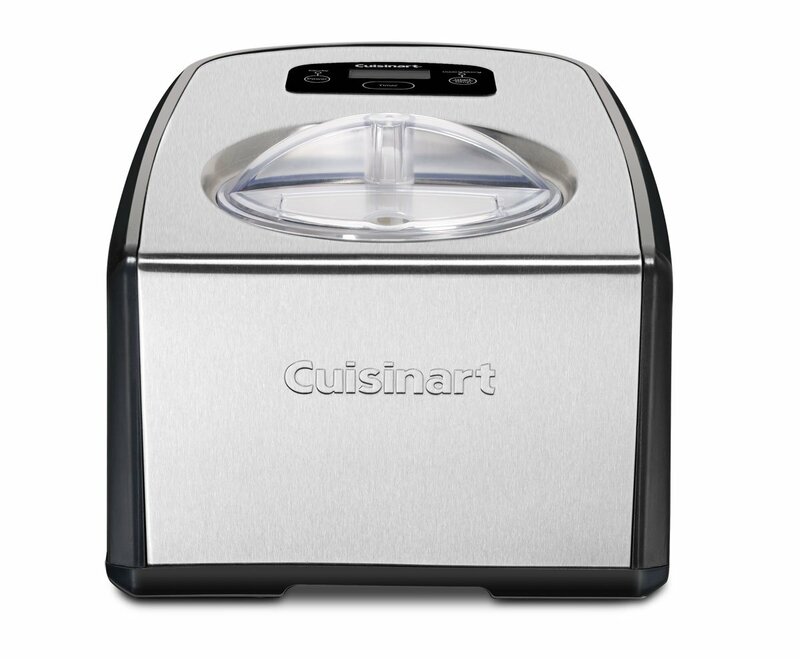 Plus, with a see-thru lid, you can sit back and watch as it makes your ice cream for you! Easy to clean and works quickly. An extra container is included and soft-serve ice cream can be prepared at 30 min. This simple machine can make up to 4 quarts of ice cream, easily twice the capacity of the others. Though the final product was a bit icy, it wasn't the biggest offender in our testing lineup, and the flavor of the cream really came out in the finish. For easy transportation, the machine has a handle and the motor locks when power is off, so all parts stay secure. The interior wipes clean easily when you’re done. This particular model is extremely affordable, which means that you can easily purchase one even if you’re on a limited budget. The added benefit to the Nostalgia ice cream machine is that it’s huge. You can make a full gallon of ice cream, gelato or frozen yogurt in half-an-hour, once you’ve layered your ingredients, the salt and ice into the chilled aluminum canister. That makes it great for family gatherings or outdoor parties. The resulting ice cream is a little icy. However, this machine does work best with Nostalgia Ice Cream Mixes, so there is somewhat less room to experiment than with other devices. Some customers also complained that the machine had difficulty with large amounts of added ingredients. If you’re interested in sophisticated, flavorful ice cream, you might want to look elsewhere. This machine isn't designed for you to add mix-ins while it's running. Some users have claimed that they got below-standard results whenever they tried to churn the ice cream at room temperature and consequently found that they needed to constantly freeze the mixing bowl. Also, unlike professional grade appliances, this ice cream maker does require a salt water mixture for best results. Cleaning the Nostalgia ICMP400 can be a pain since it’s not dishwasher-safe and the rock salt can harden to the container pretty quickly. It’s also very sensitive to “not being cold enough” and you might end up with ice cream soup if you’re not careful.